Critical Situation Management (CSM) combines next-generation Knowledge Management technology with state-of-the-art Command Center software to deliver best practice performance across your organization. Whether your mission is to respond to threatening conditions, or to improve normal business processes consistently within a Six Sigma environment, CSM's applications can help. Implementing CSM makes existing processes more effective, more repeatable, and more traceable – reducing error rates and failures while improving accountability and continuity as your personnel landscape evolves. CSM brings Knowledge Management, communication and data management technologies together in a unique way to fully leverage organizational, human and technology resources, rather than stretch them. 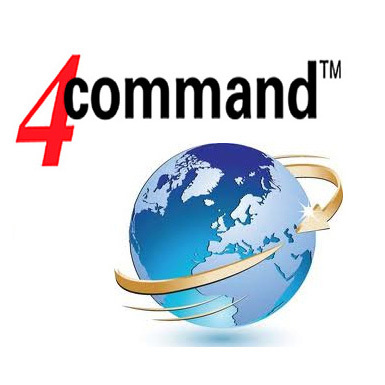 4command™ is CSM's flagship Command Center software. It is based on innovative, field-proven Knowledge Management technology – pioneered and refined by CSM over the past decade. 4command delivers process-specific electronic checklists and displays, tracks status, provides full situational awareness, enables electronic tasking and sharing, and integrates readily with other critical business systems. The CSM Knowledge Management program has a proven track record, with successful implementations for major electric power, gas, water and wastewater utilities. It has also been deployed successfully in the manufacturing, defense, chemical and refining industries. We invite you to explore our approach to Knowledge Management and automated Command Center applications, and look forward to discussing your requirements in depth. In real-world events, response levels, resource mobilization and a maze of other requirements vary with conditions. You have procedures, protocols and plans for most situations, but how do you identify the right ones? What if conditions change? Documents... Procedures... Deadlines... Phone numbers... Checklists... Which ones do you use now? Where do you find them? How do you capture what you did? How do you impose deadlines? Your organization has hundreds of talented individuals. But how do they work together to produce consistent results in a complex business landscape? Team members are distributed across a region, a state, or the world. Shift changes, labor practices, mutual assistance and other factors magnify the challenge. You have a blazing network, a first rate document management system, and the three ring binders disappeared at the turn of the century. So why is the right information still so elusive when you need it? It all comes down to the here and now. The clock is ticking. What matters is the next step. Done correctly. Every time. Options can look good on paper. But reality is where you turn when the chips are down. Where do you turn? 4command is our flagship application, which makes knowledge management real -- real enough for major power and water utilities to depend on it. 4command truly delivers the right information, to the right people, at the right time -- in the real world, not as an intellectual exercise. © 2012 Critical Situation Management. All rights reserved.